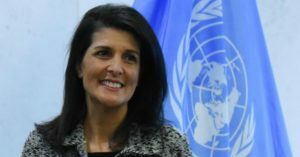 Will Nikki Haley Succeed in Reforming the UNHRC? 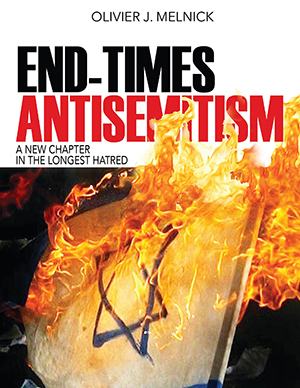 You are here: Home / Antisemitism / Will Nikki Haley Succeed in Reforming the UNHRC? In 1945, The United Nations replaced the ineffective League of Nations in hope of preventing another world war. The intention was honorable and in its inceptive years, the United Nations were very influential in a positive way. One example is without a doubt the vote in favor of declaring the State of Israel in 1948. It was both historic and prophetic. Much has happened in the last 70 years, and not always in favor of Israel. As a matter of fact, more resolutions have been passed against Israel at the United Nations than any other countries in the world. Within the United Nations body of represented governments, there exist a group started in 2006, known as the UNHRC (United Nations Human Rights Council.) They describe themselves as follows: The Human Rights Council is an inter-governmental body within the United Nations system responsible for strengthening the promotion and protection of human rights around the globe and for addressing situations of human rights violations and make recommendations on them. It has the ability to discuss all thematic human rights issues and situations that require its attention throughout the year. It meets at the UN Office at Geneva. The Council is made up of 47 United Nations Member States which are elected by the UN General Assembly. This shameless diatribe against the Jewish people and Israel was unacceptable, yet most people in that meeting didn’t react except for the representative of Qatar who praised Mr. Al Hussein’s statement. Fortunately, Hillel Neuer, the representative from the organization UNWatch was present and spoke up to defend Israel. This was not the first time that Israel was targeted and it won’t be the last. But there seems to be a wind of change going through the United Nations with the appointment of Nikki Haley as the United States Ambassador to the UN. On June 19, in Geneva, Switzerland, she presented her ideas for a reform of the UNHRC. Ms. Haley boldly but not blindly came to the defense of Israel when saying: “According to Hillel Neuer of UN Watch, in its first decade (2006 to 2016), the council adopted 68 resolutions condemning Israel and 67 condemning the rest of the world’s countries combined.” She delineated the three reasons why she believed that the UNHRC is flawed: Bias against Israel, blatant double standards against Israel, and the fact that human rights abusers actually hold seats on the council. Her challenging the body of the UNHRC is courageous and necessary. It remains to be seen if the UNHRC can be reformed since many of its members are either Arab or Muslim countries who support the Palestinian narrative. They follow the same path of one-sidedness as the United Nations. It looks like we live in the days that the Prophet Zechariah spoke of: “It will come about in that day that I will make Jerusalem a heavy stone for all the peoples; all who lift it will be severely injured. And all the nations of the earth will be gathered against it. (Zechariah 12:3). Fortunately, in Zechariah 12:8-9 we also read: “In that day the Lord will defend the inhabitants of Jerusalem, and the one who is feeble among them in that day will be like David, and the house of David will be like God, like the angel of the Lord before them. And in that day I will set about to destroy all the nations that come against Jerusalem.